Security National Life Insurance Company specializes in unique niches in the insurance marketplace, such as small whole life insurance policies. In the following review of Security National Life, we will cover the company’s history, financials, ratings, products and services. Is Security National Life the right company for you? History – After being founded back in 1965, in Salt Lake City, Utah, Security National Life Insurance Company has enjoyed over 50 years in the industry. In the early days, the products were geared towards helping individuals plan for their funeral and final expenses. Today, this is still a core part of the business but the product range has expanded somewhat. According to the company themselves, they were ‘founded on conservative and sound financial principles’. Not only do they want to help with the needs of individuals and families now, they want all their customers to remain happy in the years ahead and we’re going to see whether they fulfil this aim today. Financials – With Security National Life Insurance Company, their finances are easy to access and this provides us with our first real insight into the company. Can we trust them to remain financially-sound in the years ahead? Should we be confident in investing in their service? Towards the end of 2016, their reported total assets were valued at $567 million which is certainly a strong starting point. Currently, they’re holding an asset-to-liability ratio of 1.07 and this has been the case for quite some time. In the last three years alone, revenue has increased by $60 million while the amount of life insurance in-force has fluctuated around the $2 billion mark. Ultimately, this means that $2 billion of their customers’ money is reliant upon their survival and ability to pay out when claims are made. Before we head into the agency ratings, Security National Life Insurance Company has national premiums of $73 million. Over the years, the company has undergone changes as far as ownership goes in addition to purchasing several companies. For example, 2012 saw the acquisition of Trans-Western Life Insurance Company in Texas. Throughout the changes, the finances have continued to improve to where they’re now in a strong position within the life insurance market. A.M. Best – Although we’ve already seen the financial strength of the company, it’s always worth a look to see what A.M. Best believe. Within the life insurance market, this agency has been providing financial ratings for many decades so they’re now trustworthy and reliable when wanting to compare between different providers. With a rating of ‘A’, Security National Life Insurance Company has one of the best gradings in the system. In fact, there are only two ratings above this and they’re notoriously tricky to earn. Therefore, the rating backs up everything we saw in the financials section. As mentioned, any policy you start will be safe and you shouldn’t ever have an issue receiving the money when claimed. Not only are they financially secure now, they’re in a position to remain this way for many years. Better Business Bureau – Next up, we have a rating from the Better Business Bureau (BBB) who like to assess different areas of a business. Rather than reviewing the finances, the BBB takes responsibility for how customers are treated and how the business behaves within the market. 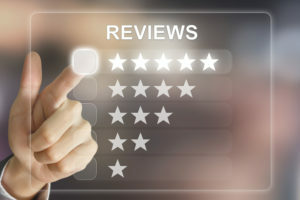 If a life insurance provider receives many complaints while also being sued for false advertising, their BBB rating will be poor (and vice versa). In case you were starting to worry, Security National Life Insurance Company has done nothing of the kind and this is shown in the ‘A-’ rating. Once again, there are two ratings higher than this one but it still means they scored above 90 on a scale from 0-100. If you ever have questions or concerns, a simple message to the company should have everything resolved. With three main products on offer, you need to get in contact with the company directly if you want the finer details and some figures. However, we can certainly discuss how the three policies work and whether they would be useful for your own financial planning. Remember, life insurance is a unique need so don’t be afraid to speak to a finance expert or even an insurance agent if you need help. Prepaid Funeral/Preneed Insurance – Do you wonder how your family will cope with planning your funeral after you pass away? In addition to the financial burden, there’s also the mental demands of planning a funeral for someone they so dearly miss. Especially when the feelings are still rather raw, it can often delay the process of grief and this can be unhealthy for anybody. With the Prepaid Funeral Insurance policy, the idea is to have everything planned from top to bottom. Whether you have the money to spare or you want to prevent the sum getting taxed heavily before reaching your family, Security National Life Insurance Company can help you to arrange your funeral. As well as paying for everything in advance, all the decision-making can be done now too. Why choose this policy? Of course, the main benefit is to remove the financial burden from your family but there’s also the added advantage of securing today’s rates. Even if the prices of certain expenses change between now and your death, this doesn’t matter because everything is paid up already. Knowing this, you can plan your finances that little bit better. With over 50 years of experience in this section of the market, Security National Life Insurance Company can help you to work with a local funeral home while taking into account your budget and needs. Final Expense Insurance – Wouldn’t it be great to tell your family that your final expenses have all been taken care of? With the Final Expense Insurance policy, you can do exactly this (and this includes the unexpected expenses too!). Unfortunately, life must come to an end and this is the one thing in life of which we can be certain. Despite this, knowledge doesn’t make it any easier and nor does the requirement of sorting finances through the pain. Whether this comes through medical bills, debts, or funeral expenses, this policy allows you to cover them in advance and take away the burden from your family and friends. While many different providers offer this opportunity, Security National Life Insurance Company believe their option is ‘convenient’ while making sense ‘for you and your family’. Regardless of your position in life, the company believe they can help you cover the final expenses so the pot of money is there to use for your loved ones. Diver’s Insurance – Although these are the two main policies on offer, there is a third and it’s one that appeals to a niche market; diver’s insurance. Just as it sounds, the policy has been designed for those who like to dive and enjoy everything the water has to offer. As we all know, the water can be a dangerous place so, depending on your needs, there are four different levels of coverage available. With Class A coverage, this is the basic policy required by all divers because it covers every single expense that comes as a result of treatment in a decompression chamber. If you look at your medical insurance, you’ll probably find gaps where this is concerned so Class A coverage attempts to bridge this gap; this way, you aren’t left with a huge bill. With Class B support, any other injuries experienced will be covered when snorkeling or diving. Commonly, this will be ear problems and cuts but it could be something more serious such as bites, stings, and even broken bones. In terms of timing, the coverage includes all the time you’re in the water so it doesn’t include injuries picked up on the boat or shore. With Class C coverage, this will include emergency evacuations and, if necessary, an air ambulance. This time, various activities are excluded such as parasailing, jet skiing, and boat racing. Instead, the policy is designed for fishing, skiing, recreational boating, and sailing. Whether or not you’re diving, this level of coverage will be available. Finally, we have Class D support which is for a wider selection of water sports. Depending on what you’re going to enjoy in the water, you might want to get in contact with Security National Life Insurance Company so your activity is definitely covered. As you can see, the different levels are split up nicely and we highly advise talking to the provider because you don’t want to have an accident and then find out you aren’t sufficiently covered. If necessary, there are opportunities to mix and match the coverage for both you and your family. In terms of pricing, the insurance is actually respectable and you’ll need to choose depending on how often you enter the water. However, a combination of Classes A, B, and C – which is the combination for divers – will cost just $43 per year. Meanwhile, Classes C and D for water sports comes to $28 each year. Next Post: The Ultimate SlideJoy App Review.